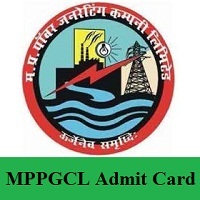 MPPGCL Admit Card 2019 Released Now…!!!! Good News for the aspirants who are waiting for MPPGCL Admit Card 2019. The officials of Madhya Pradesh government had Released the MPPGCL Junior Engineer (Plant), Accounts Officer Admit Card 2019 for the posts of Accounts officer and Junior Engineer. The MPPGCL Examination 2019 will be conducted on 19th March 2019. To attend the exam, candidates must carry the Madhya Pradesh PGCL Admit Card 2019. Aspirants can download the admit card directly from the official website @ mppgcl.mp.gov.in. In this page, we provide complete details regarding the MPPGCL Call Letter 2019, MPPGCL Examination Date, and other information. Moreover, the examination is conducted online. To attend the exam, Admit card is very important. Hence, students need to take the copies of mppgcl.mp.gov.in Hall Ticket 2019 before attending the exam. Along with the Hall Ticket, there are some other important documents to be carried to the examination center. The MPPGCL Call Letter 2019 contains personal details about the candidate attending the exam. The details are as follows. Instructions to be followed for the Exam. To attend the MPPGCL Examination 2019, candidates need to carry some important documents to the examination center. Aspirants may carry a copy of any of these documents. The identification documents are given below. Initially, applicants need to visit the official site of MPPGCL that is mppgcl.mp.gov.in. You can see the home page of Madhya Pradesh Power Generation Company Limited (MPPGCL) on the screen. In that home page, go to the News or Careers section which is at the right side of the home page. Search for the flashing link of mppgcl.mp.gov.in Hall Ticket 2019. Aspirants need to fill the details in the mppgcl.mp.gov.in Hall Ticket 2019 correctly. After filling the details, verify it again. Take two or more photocopies of mppgcl.mp.gov.in Hall Ticket 2019 for further reference. Candidates can get the complete and accurate details of MPPGCL Admit Card 2019 from our site that is FreshersNow. And applicants can share this information with your friends also. If any of applicants have doubts, they can comment us in the below section. Thank You.